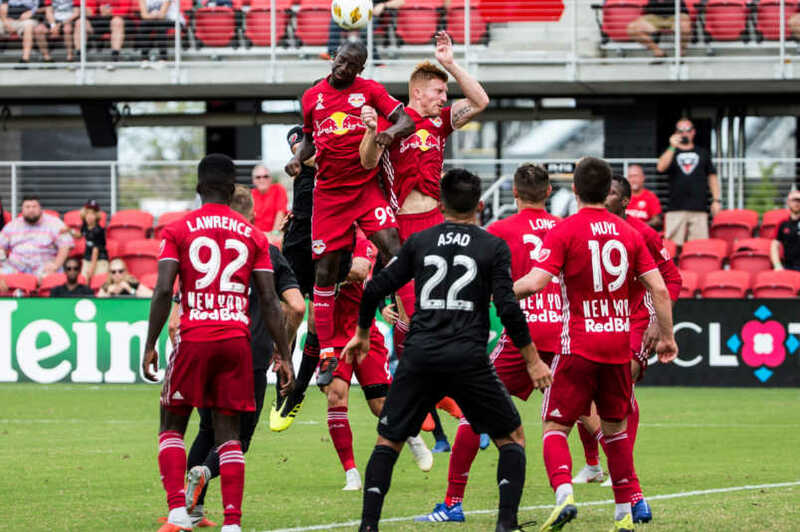 By J Hutcherson (Feb 26, 2019) US Soccer Players - It’s supposedly a truism that any team can win the title in MLS. Maybe. The league has changed enough in recent years to create a clear us and them hierarchy. The elite teams are the elite for the same reason as the likely winners of UEFA’s Champions League. They spend more. We’re well into the era of designated players, allocation money, and every other mechanism to try to keep single-entity in place when the economics of the game suggests otherwise. Those economics are the reason Atlanta United is in position to defend their title in 2019. They continue to spend and structure a roster that is tough on the rest of MLS. It’s no knock against the rest of the league that the biggest issue Atlanta faced late in the season was their coach refusing a new contract. They saw off that disruption in time to lift the trophy. This season, it’s seeing if their formula works under new coach Frank de Boer. Once again, it might be Atlanta as their own biggest obstacle, the standard cliche for a defending champion with plenty of pieces in place. Watching Miguel Almirante already doing the job for Newcastle in the Premier League over the weekend is part of that issue. Pity Martinez isn’t necessarily a direct replacement once the league games start to count. We don’t know if his output will be at the same level as Almiron’s or what Atlanta might look like scrapping for a 2-1 result. Atlanta lost the Supporters’ Shield by two points last season to the New York Red Bulls, trailing them +26 to +29. Sporting Kansas City was the only other team in the league in the 30s on goal difference at +25. Since it was Portland and not Sporting representing the Western Conference in last season’s MLS Cup, this isn’t the easiest benchmark. Still, it’s an indicator of the teams that can separate themselves. There’s no reason to think that this changes this season. MLS is a goal scorer’s league, closer to the second tier of European leagues where the handful of teams in contention are the ones that score. The old idea that every team in the league has at least a couple of four-goal wins a season to go with at least a couple of four-goal losses may no longer hold. It’s more about the team that can put together a month of lopsided wins, especially early in the season. The Seattle template of coming on late only really works for Seattle. Where that leaves the teams on the other side of those lopsided losses is the parity question. It should show early in 2019, with a 24-team MLS well equipped to draw a line between contenders and everybody else. The revamped playoff system may not help here. Seven teams per conference increase a safety net that may have a sizable hole in it this season. What just making the playoffs really proves is an old question for MLS teams. For some, it salvages a season and jobs. For others, one more game may not be enough. Now? It should be a tough sell for almost all of the league that making the playoffs is enough. That mindset starts in March. Parity in this league has always been relative to scale, and that’s changed this season. Playing for points early carries more weight, simply because of what happened at the top of both conferences last season. It was certainly more pronounced in the East with the Red Bull’s winning the regular season battle and Atlanta taking the title. NYCFC spent plenty of time in that Eastern Conference conversation as well, trying to get something out of what would be David Villa’s final season at Yankee Stadium. It was there that NYCFC ran into Atlanta’s revival act in the playoffs. Losing 1-0 at home wasn’t a disaster, but the second-leg had United sending a message. End of the season for NYCFC, while still better equipped than almost any team in MLS to give Atlanta a game. What that means for the rest of MLS is a looming question for a lot of teams. What good may mean in 2019 could end up a moving target for many of them. It’s the same old issues in this new era of MLS. Willingness to spend, roster depth, and mistakes count for more in this league because we see what they mean week-by-week. Campaigns slip away well before the math catches up late in the season. It’s an interesting time for several teams. DC United needs to show what a full season of Wayne Rooney means. San Jose has an elite coach that should bring something different to the league. NYCFC needs to avoid a drop off while coach Domenec Torrent tries to figure out MLS. FC Dallas doubles down on youth in a way that further separates them from the bulk of MLS teams. It’s easy enough to highlight a handful of top teams and the ones with interesting scenarios. That still leaves a lot of teams looking for success this season. It’s the old parity problem. Is the MLS version about clubs dragging each other down, or is it a competitive league that any team can win through creative soccer? That may be an unfair question. This is a summer league where even the best clubs grind for results in August. Compacting the schedule will only add to that. Squad management is regularly the game in MLS for a reason. With the league caught in an endless transition while holding onto the idea of single-entity, that’s not surprising. What it does to teams this season may not be either. Supporters’ Shield winner: LAFC who should only improve on last season in a Western Conference that should allow at least a couple of teams to separate from the rest. MLS Cup winner: The New York Red Bulls take the title before age catches up with this team. Biggest surprise: Orlando City becomes a force in the Eastern Conference and finishes ahead of Columbus and Philadelphia. Cincinnati’s expansion season: This won’t be a replay of LAFC last season. J Hutcherson started covering soccer in 1999 and has worked as the general manager of the US National Soccer Team Players Association since 2002. Contact him at jhutcherson@usnstpa.com.